Saturday saw Premier League side Norwich City take on Southampton at Carrow Road, on what turned out to be a freezing cold day with a downpour of sleet and snow. After last week’s heavy defeat at the hands of Manchester United, Chris Hughton’s side will have been hoping to bounce back and earn another 3 points and help keep their Premier League status. 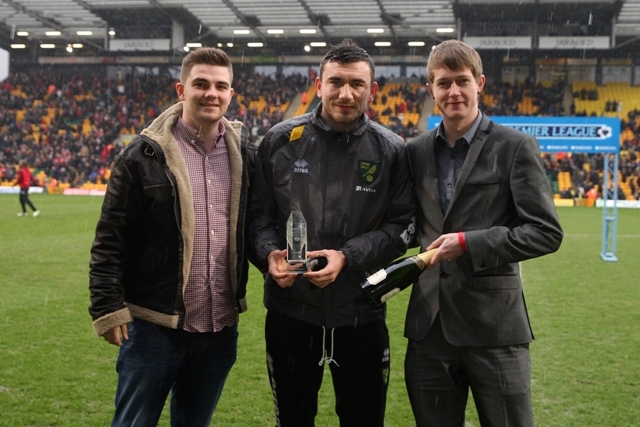 Before the game kicked off, the Anglian Home Improvements Player of the Month award for February was given to Robert Snodgrass, who is having a superb season for the Canaries. Despite the home advantage, it was the away side who played the better football and created good chances, but stern defending and Mark Bunn performing outstandingly kept the Saints at bay. Adam Lallana was the first to test Bunn with a stinging shot from the edge of the box, but it was tipped over the bar. Bunn was called to action again moments later when Gaston Ramirez was put in on goal, but his cheeky attempt at a lop was parried well by the keeper as Norwich cleared again. At the other end Snodgrass forced a good save from Boruc with his curing free-kick. Mark Clattenburg then waved penalty claims away as the ball was whipped into the 6 yard box, skipper Grant Holt was blatantly pulled back, denying him a goal scoring opportunity. In the second half, Lallana should’ve scored, but his shot flew high over the crossbar, whilst Yoshida defended brilliantly for the Saints with a sliding block to deny Holt of a goal. Rodriguez then should’ve done better with his shot on the edge of the box, but his shot was straight into the arms of Bunn. Yoshida was the saviour again when Snodgrass went round the keeper, he was there to shepard the ball away. The game was fizzling out, but it took a turn on its head in the 92nd minute. Holt turned Shaw who pushed him to the ground just inside the penalty area. Clattenburg pointed to the spot giving the Canaries their first penalty of the season. Holt stepped up but was denied by a brilliant Boruc save. The final score was 0-0 which is a fair result for this game. 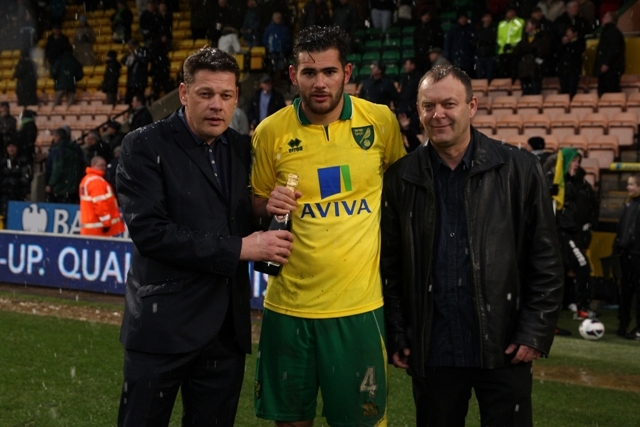 The Anglian Home Improvements Man of the Match was Bradley Johnson, who put in a solid shift in centre midfield.